SKU: 9781940814025. Category: Religion. Tags: Baylor University, Dr. Jeff Levin, Jewish Ethics, Judaica, love God. 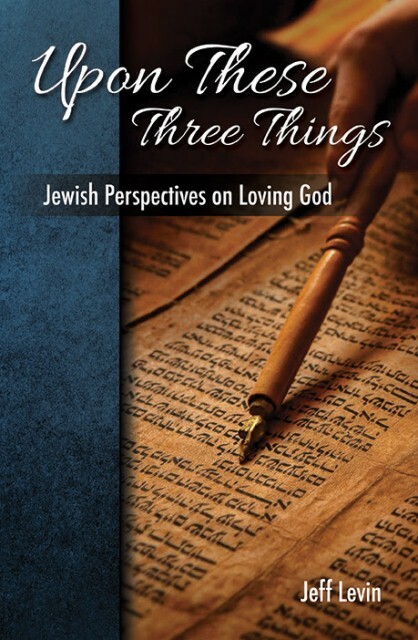 Upon These Three Things: Jewish Perspectives on Loving God is a thoughtful introduction to Jewish moral theology and applied social ethics. It summarizes what normative Judaism says about what it means to love God, how we go about doing so, and how this affects our lives and our world. Drawing on biblical and rabbinic sources and the writings of both sages and contemporary scholars, this book offers a d’rash, or commentary, on the famous words of Rabbi Shimon the Just in Pirke Avot that “upon three things the world stands.” Dr. Levin discusses the importance of a life devoted to torah (learning), avodah (worship), and g’milut chasadim (acts of loving kindness) as the truest expression of traditional Jewish morality and the surest pathway to both personal and cultural transformation. Accordingly, Jewish religious observance and social consciousness are not mutually exclusive but rather are inseparable expressions of the Jewish covenant with God. Author Dr. Jeff Levin is University Professor of Epidemiology and Population Health at Baylor University. He has written or edited nearly 200 publications, including eight previous books.